Dhaka, 3 May, Abnews: A four-member delegation of BNP has sat with the Election Commission (EC) to discuss the country’s overall situation including the elections to Gazipur and Khulna city corporations. 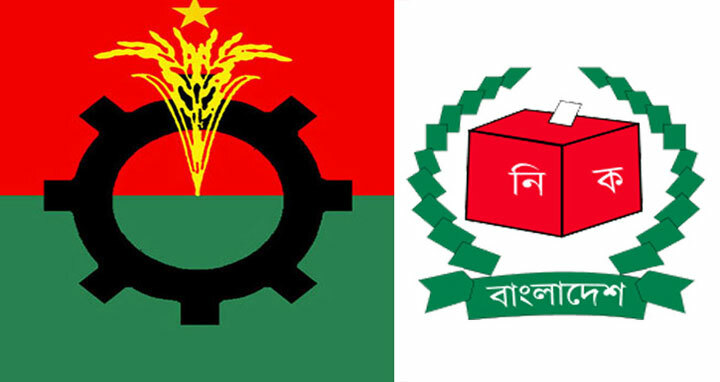 The delegation led by BNP Standing Committee Member Dr Abdul Moyeen Khan sat with the EC at the Election Bhaban in the capital's Agargaon at 3:15pm on Thursday. BNP Vice-Chairman Abdullah Al Noman, Barkatullah Bulu and SCBA Secretary and BNP's Joint Secretary General Barrister AM Mahbub Uddin Khokon were also in the delegation. Chief Election Commissioner KM Nurul Huda and other election commissioners were present in the meeting.